wingedream: Growing Up: Of all that is "Left!" Growing Up: Of all that is "Left!" where we all lived. Father, mother, paternal uncle, and a family of six (four brothers and two sisters) and that saviour of all houses: Man Friday or the more politically correct, Estate Manager Panchua. A man for all seasons, he was. My mother was a practicing politician of the undivided Congress party and a woman much ahead of her times, feisty with a mind of her own. As far as I remember, it was 1961. Perhaps when Nehru came to Bhubaneswar for inaugurating the AICC session and Biju Pattanayak was the Chief Minister. My Mother Smt Chhaya Banerjee showing her album of childhood photos with Freedom fighters including Subhash Chandra Bose to Pt. Nehru, the then Prime Minister of India. 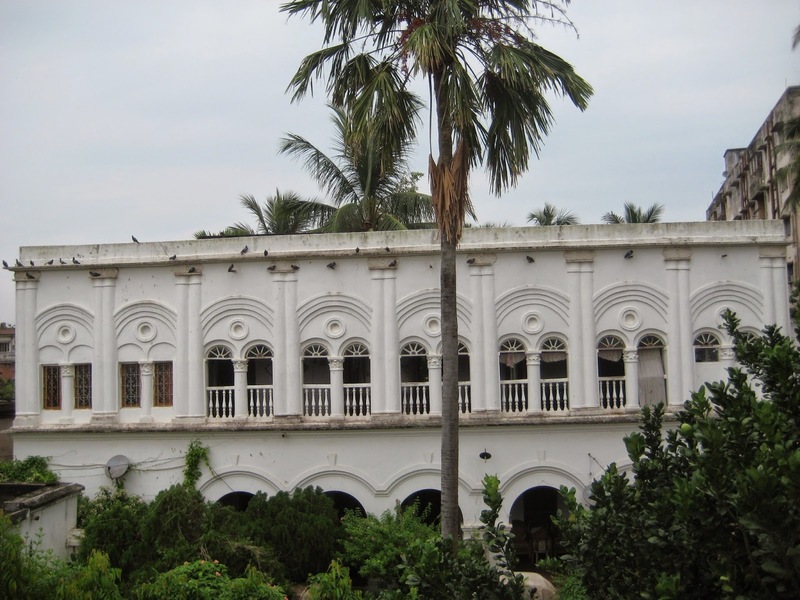 The spectre of India’s China War loomed large on the horizon. I was very young, a child you may say. A constant coming and going at home of strangers, friends and family kept me wondering what it was all about. The home or house, call what you choose was a melting pot of animated and gregarious confusion. It was in this social milieu that my first awakenings to politics began. Ferenc Puskás was a Hungarian footballer and manager, widely regarded as one of the greatest players of all time. He scored 84 goals in 85 international matches for Hungary, and 514 goals in 529 matches in the Hungarian and Spanish leagues. Ho Chi Minh and Giap inspired us and kept alive the righteous rage and purpose. 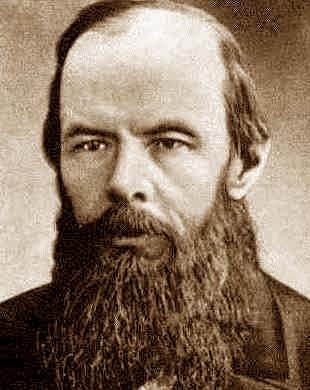 Prejudice, ignorance, chauvinism, anger, impotence, sadness and rage against a perceived impotence of most of our fellowmen: all together- made strange bedfellows and from it was born a politics of the love of the damned. And almost as if in irony and testimony of a troubled mind, a framed photograph of Mao vied for honours on the faded and decrepit walls of my study as against that of my mother with Prime Minister Nehru. Mostly college going students from Delhi, some girls and more boys started dropping in first, as a disappointed trickle until and then with time to became full. One could also notice a few like me, with many white hairs and wrinkled faces. A few hundred shall we say gathered. One did not see too many of the famously new youth and pleasantly did not hear too much of the spoken English, either. The earthy smell of the unventilated and murkily lit PG rooms of unfamiliar and unpopular alleyways spread like the common gulmohars on a hot summer afternoon. Unkempt and sparse, the hall did not seem to have or show the efficiency or organisation of money and modern management. Rather an awkward and unparticipative ennui pervaded the atmosphere for a while. Lazy and languid. Come around 3 pm instead of the promised 2.30 a certain movement, non-descript but purposeful. The rostrum mikes and the banner announcing the event, participants but no sponsors non- typically comes alive. All present almost suddenly astir, eager and anxious a collection of the very best in social activism representing their many organisations or their individual selves remain seated in anonymous corners or rows. But all gathered in solidarity for once or more: seeking the unconditional release of Dr D N Saibaba.In the background a large photograph of the Mahatma eyes closed looking down almost symbolically, hangs desolate and seldom cared for while handful of policeman laze on the scattered chairs, just outside on the veranda, unsure of their purpose or calling. I remain seated wondering about my own presence in their midst ridden with conflicting emotions of belonging and strangeness. But, very sure that I wanted to be there and an overpowering desire to hear and witness some who had so courageously left their homes and kindred for their oppressed brothers and sisters living and dying quite faraway and sometimes even taken away from your urban neighbourhoods even while one was awake. And feeling guilty, I was, for enjoying life’s many pleasures. That is all. “Enveloped in temperatures of 130 degrees, men, women, children — entire families — were cloaked in a heavy blanket of dust, while mechanically stacking bricks on their head,” says Kristine in TED Talks. Here, the dust-stained feet of a brickmaker in India. 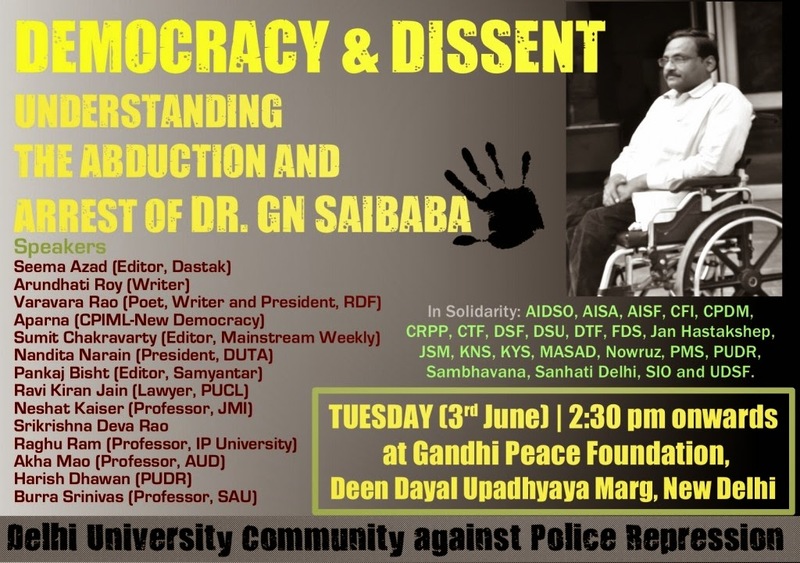 The moderator, a fiery, thin and rather tall youth in kurta and jeans rose to the rostrum and announced the solemn purpose and programme of the meeting: Democracy and Dissent: Understanding the Abduction and Arrest of Dr G N Saibaba. His energy, rousing stentorian voice and modulation, commitment and near professional thumb lines to introduce each speaker provided a fitting start at all times. He was ably assisted in this by another friendly and domesticated looking lady of the South, slightly heavy in parts, trying to make her Hindi not to be misunderstood for what she was not saying with a generous helping of English, every once in a while. As for the audience, instant and silent participation to the proceedings, gave it the sombre dignity it deserved. Hindi was to be the language of all talks proposed was conveyed and agreed to as if by some telepathy between two friendly parties: the speaker and audience. Many speakers came and spoke. Sumit Chakravarti,Editor Mainstream,Com.Aparna,Raghu Ram,Com. Seema Azad.All in enraged tones of the return of the dark days of yore staring right into their eyes, the difference or their lack of between Congress and the BJP, the rise of Modi and the utter inhumanity shown in the repression of the just struggles of the people, Dalits and tribal in particular in the forests, hills and mineral rich areas of the so-called Red corridor, the draconian laws like the UAPA,AFSPA and the extra-judicial conduct of the men in uniform.etc.But there was one young lawyer of the Supreme Court from Maharastra who caught an unsuspecting ear with a cynical but critical observation by highlighting that Gadchiroli and its common folk would feel short-changed if all these protests, seminars and meetings against oppression do not include their anonymous and yet untold struggles against torture and suffering in unknown jails for want of urban admirers. stirred many a heart with her poem of protest and quoting a few lines of a famous Palestinian poet urging its people not to be allow the sweetness of tongue become the honeybees to lace your lips shut into a wilful, silent surrender as against the hungry and hurtful mouth, sounding the bugle alarm of our words ,voice and action to avenging wrongs. (hopefully I got it right !?). 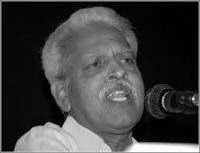 Varavara Rao is a communist, activist, naxalite sympathizer, renowned poet, journalist, literary critic, and public speaker from Andhra Pradesh, India. He has been writing poetry for the last four decades. with his booming voice and severely Telegu-accented Hindi, generous and optimistic with the news of the new fear of the Right at the success of the tribal, self-governance models of Dandakaranya,Gadchiroli and tracts of Chatisgarh,the proliferation of “Modi Thug Groups” which intimidate into submission any and everyone who dares to take the new deity’s name except with reverence, the high jacking of Telengana state by anti-people forces though this achievement was largely a testimony to the relentless and bloody struggle of revolutionaries ever since the colonial days. 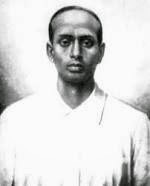 He bemoaned the release of several life termers from jail for brutal killings by a single judge who was a known RSS cardholder for long.While he was happy to see the emergence of a certain sense of unity amongst the various shades of the left in opposing the systematic and illegal acts of terror against the common man, including the intelligentsia, he joked that at a certain such conference of solidarity a senior member of an established parliamentary Communist Party had acknowledged the success of the just struggles of the Revolutionary Democratic Front and had urged him to leave the jungles to join the mainstream. To this he had cynically quipped “since good days are coming soon it would be better if they chose to come to the jungles instead”. To add to this rather eminent gathering of speakers walked in the ever fascinating and enigmatic Arundhati Roy amidst cheers and enthusiastic clapping. A saree clad, short-haired with a generous sprinkling of the white, dimunitive, frail woman looking delicate and a little tired climbed up to the rostrum and spoke in Hindi. I was a trifle surprised, pleasantly at that, for I thought she perhaps, could not. And hence, choose not to speak in Hindi. In a small way it told me how very far and away was I from people who are common while being extraordinary. She spoke the commonality of the agenda of the Congress and the BJP,only the latter would now open the flood gates of de-licencing,complete takeover of the media by the corporate, politician and rich business combine, easing regulations on environmental protection,FDI, handing over land at throwaway prices in total disregard of the landless and the poor, impose the colonial set of oppressive laws like POTA,AFSPA,UAPA in a systematic and methodical way of which the abduction was but a horrible example. Importantly, she warned the disenfranchised to remain strong, united and fearless for the dark days of a different kind were round the corner, sharper and bloodier conflicts with the emboldening and realignment of the rightist, conservative forces. The spectre of a neo-liberal world and the project to create a new, bad world was there in the lurking shadows! They should prepare themselves against the thought control measures being adopted, of a mind under siege where there would be no more discussions, inquiries, questions on any issue, leave alone, protest. Disinformation and newer ideological onslaughts would be the new war just like the whole of the Muslim world were busy squabbling on being Sunni or Shia and laying to waste some of the oldest cultures of the world rather than countering the real inimical forces originating from the west and recognising the real questions of conflict and strategy. She was appalled by the repetition of colonial strategies of military deployment even to this day wherein a Kashmiri was deployed in Dandakaranaya and vice versa essentially to divide and rule just like before. You fight your own !Nothing really has changed and we are still faraway from being free .A group of five followed up this heavy, sobering and challenging deliberation with a rousing singing chorus in Haryanvi mocking the hanging of a Bhagat Singh in the past with today as the crowd gradually thinned out. Questions lingered on in my mind quite late into the night and carried on to the following days of the simmering hot summer. A new government backed by an unprecedented majority had taken charge with promises plenty made, yet again. The people were looking at it with great hope and excitement. 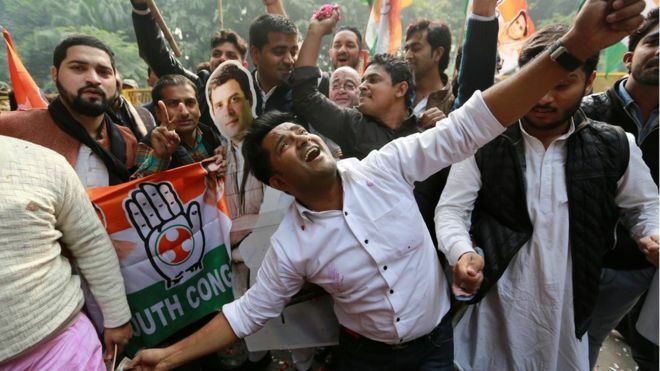 The script for the future was neat and the Bogey man with a clear voice, Modi had sounded the bugle of all-inclusive growth, development with scrupulous and speedy execution. The defeated shook their tired heads in disbelief as news of a Muslim being killed by a rabid and bigoted mob of another community, a dedicated NGO and a selected individual, (to set, but an example) being hounded for anti-national activity and illegal foreign- funding and of course unrestricted de-regulation in matters of environment and forest clearances started trickling in with an ominous regularity even before the new government had quite opened its books, so to speak..
With so much of the use or abuse of law for devious ends, so much of insecurity and the irresponsible use of power to silence dissent and criticism, I wondered if the politics of the over ground was at all possible? Were then all these multifarious organisations with seemingly different agendas and methodologies of action too ambitious but unfortunately weak to resist and overcome such challenges made by the authorised representatives of the State? Was it then that the hope of many streams coming to the sea in the end but a false dream? How would an unarmed man fight the terror of organised violence against the might of the state? Was Satyagraha and non-violent action of any consequence, today? Or from the ashes of gandhism and the lessons learnt from the fighting brotherhood in the jungles of Gadhchiroli,Bastar,Bijapur,Arrah,Lalgarh,Dandakaranya or from the far-off jungles of Chile,Venezuela,Columbia and Salvador resist and be organised in urban areas too and eschew completely the hope of a non-violent transition for an egalitarian society? Discussions and training on how to identify organise and resist calculated violence visible or otherwise to protect human rights in a neo-liberal, pro-rich, consumerist and globalised world would be more realistic approach than the periodic and sadly, ritualistic cry of betrayal each time the predictable, despicable act against the disenfranchised happen. Other than being not so sure on the question of Violence I always felt guilty for being one in the army uniform for the better part of my life? Was I then one who naturally was against people who claimed and fought for their rights? Killed and hurt while following orders, never questioning the rightness of the direction, ever? Like many others who serve the government for a salary, being a law abiding, patriotic citizen how was this wrong. Yes we were the visible hand of violence. But what of the millions of others, clerks, teachers,intelligentsia,bank officials, doctors, engineers, scientists etc who unseen put to effect all government fiats in villages, cities, towns, rivers, forests daily and each time? Are they all a mere cog in the wheel? And if so what is their redemption? I know .Better and stronger people have given much thought and shed enough blood for a real and truly free India, while with each passing day I still wonder in impotent rage at all that I do or do not! Sunil you truly is a prolific writer. Your commentary is very descriptive and easy for layman like me to understand. The underlying message is very clear. You are surreal in narrating a lifelong event in a stylistic manner. Overall I am impressed with what you have to say. Great write-up. Left me thinking. There's so much to do. Good one Banjo, shakes up conscience of many "happily living people" who "discharge" their duties to society by voting, donating and occasionally writing, liking on FB, Twitter and even getting in discussion in drawing rooms or some stage! Today the visible Left is void of any Leftist ideas and feel its their duty to forge a 3rd front or a broad front of secular and progressive forces! Though I am for the latter move but void of revolutionary ideas? KK- Unable to log and post! Thanks.All of you keep me going.Else I am such a sluggard.